Elite Dangerous has finally arrived on the PlayStation 4, two and a half years after its initial Windows launch, and following over a year of Xbox One console exclusivity. Has the long wait been justified? Or is this one exploration that can be passed over? Time to find out in our review. Elite Dangerous is an open-world (or perhaps that’s open-galaxy) game, where you are free to do whatever you want to earn a living. Elite as a franchise dates back to the original release in 1984, built for a home computer system called Acorn by BBC. If you ever played a game in the series, then you know what you are in for. You start as a new pilot of a small space ship, and are given a meager 1,000 credits. You’re given no direction in how to make your fortune, and must figure things out on your own. Elite has never been a game to hold the player’s hand, and that remains true here. What has changed is that we live in an always-connected world. This means that you can search online for any help you might need with the game. Beyond that, the game is also always-connected. You play in a shared universe, one that is constantly changing, with battles being won and lost as you sleep in the real world. If you choose to play online, then you can also get help from random players, or buddy up and form a private group to try some of the game’s more challenging missions that NPCs hand out at space stations throughout the galaxy. Prefer to go it alone? Well, while Elite Dangerous allows you to play in a Solo mode, the game requires an active internet connection in order to play. Since the universe is shared amongst all players, this means that events can affect your solo play. It also means that you cannot effectively pause the game, as I found out the hard way when I got up to use the bathroom, came back just a few minutes later, and was informed that my ship was destroyed. The only way to ensure your safety while you’re away from the game is to either enter a docking station from a landing pad, or to save your game and exit using an option from the menu. The game’s real-time connectivity goes a little further – as you take on jobs from the mission board at a space station, you are shown how much time you have to complete it. This is given in days, hours, and minutes, and continues to tick away even as you aren’t playing the game. Missions vary from simple data and cargo delivery, to mining and collection missions, and of course combat and assassination missions. These missions have consequences, such as boosting a local economy, increasing your reputation for the faction you are doing business with, and perhaps also getting you into trouble with the authorities. Elite Dangerous is a simulation, first and foremost. Even getting to a space station is an ordeal. First, assuming you have enough fuel in your frame shift drive (their name for a faster-than-light, or FTL, drive, to hop you from solar system to solar system), you make an FTL jump that includes spectacular visuals, and audio that borders on creepy as your starship makes various noises, including creaking as you near the end of your journey. Once you make it to your destination system, you’ll approach the space station at multiple times the speed of light. This is necessary because distances in systems are so vast, it’s kind of hard to wrap your head around. Terms such as light seconds (Ls) and megameters (Mm, or one million meters/one thousand kilometers) become commonplace, since everything in this game is to realistic scale. As you get closer to the space station, your ship will automatically begin to slow down, but it’s up to you to get it to slow down for a safe drop from this “supercruise” speed to less relativistic motion. Pressing triangle at the right distance and speed will stop using up your precious fuel, and you can now begin your approach. Assuming the space station you’re near recognizes federal regulations, you are required to request permission to dock once you’re 7.5 km or closer to the station. This becomes important at smaller stations – with a limited number of landing pads, sometimes your request is denied, and you must wait and try again until a pad opens up. The space stations are cool and useful places. Beyond spending a few minutes just sitting and watching other ships come and go, you can refuel and repair your ship, and the larger ones also have a shipyard where you can outfit your ship with any number of upgraded weapons systems, defensive options, power plants, and more. You can also choose your ship’s livery, and apply decals that you unlock from ranking up in any of the game’s core pillars: trading, combat, and exploration. Each ship also features detailed interiors, with dashboard slots to fill up with bobbleheads and other various items, which can be earned or purchased outright. Different ship models have different exterior and interior layouts, much like real-life automobiles and water-bound ships. Thankfully, Elite Dangerous isn’t completely tied to a simulation model. This is especially true of the physics in space. Newtonian physics do not apply here, as they did in previous entries. This means that your ship behaves in space as if there was an atmosphere. While this makes for a less realistic flight model, it enables you to not spend too much time worrying about momentum, and makes combat more palatable. Elite Dangerous is also in the middle of its second season of content, dubbed Horizons. 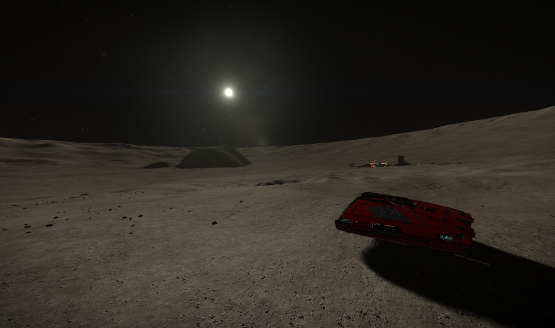 A major component of this expansion is the “Surface Recon Vehicle,” or SRV, which enables you to explore the surface of planetary bodies, which is also a new feature for the game. Frontier Developments has kept a steady stream of new content, and this seems like a perfect time for PS4 owners to jump in. Some of the best moments that happen in Elite Dangerous are unscripted. For instance, I jumped to a system as part of a multi-point route that my ship’s computer had calculated for me. I had just purchased a new hauler ship, to make use of more cargo slots, thus increasing the number of simultaneous missions I could take on. I made a couple of contacts, as usual – ships and other interactive points of interest in the system. I then received an incoming message from another pilot: transfer to them at least 6,000 credits’ worth of cargo, or be destroyed. I had ten seconds to comply. I didn’t even know how to transfer cargo, so after ten seconds I was starting to get torn apart. My brand-new hauler was light on armaments, so I was just attempting to dodge as best I could, hoping for an opening to maybe damage this pirate a little before my inevitable demise. My shields were quick to go, and as my ship’s health whittled down to 20%, I prepared for my death, attempting to calculate how much money would be lost due to mission-critical cargo being destroyed. Just then, federal ships intercepted the pirate, and I was saved! I then limped to the nearest space station to repair my nearly-destroyed hauler. This taught me to invest in defense options, and an automated turret would be my next purchase. That’s Elite Dangerous in a nutshell. You are thrown into this massive galaxy, without much in the way of formal lessons. There are a few training missions, but even those are short and don’t quite explain the way things work in explicit detail. The best way to learn in this galaxy is through direct experience. Some people may not like this style of gameplay, but Elite Dangerous isn’t pretending to be an easy game that you play casually. Although, there is also a three-mode Arena game option that is actually suited for casual playing – quick rounds of deathmatch, team deathmatch, and capture the flag taking place in the galaxy in specially-made arenas. It’s a nice bit of fast-paced shooting action. 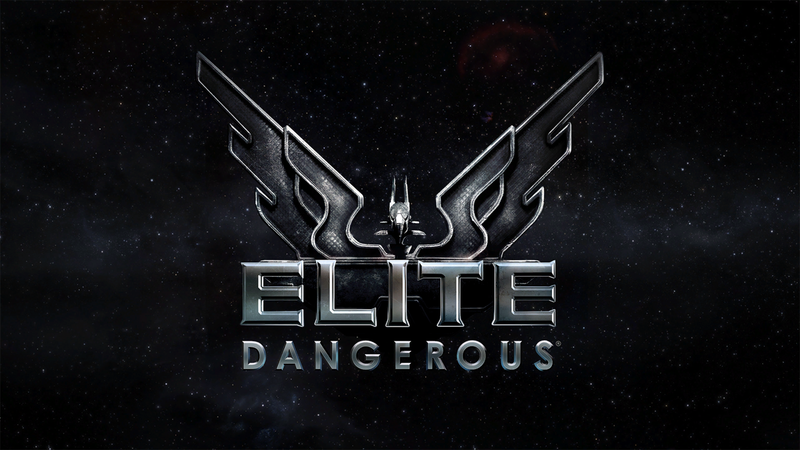 Elite Dangerous runs on Frontier Developments’ in-house COBRA game engine. This is a highly-optimized engine, which appears to run at a targeted 60 frames per second. Space stations and ships have an immense amount of detail, and the game allows you to enter a free camera mode to really appreciate all the little details, such as holographic warnings or a small row of trees at the Leonard Nimoy space station, for example. You’ll often see this free camera used in capture sessions for cinematic effect. It also made capturing screenshots for this review that much easier. The audio work in Elite Dangerous is fitting. Besides the expected noise of blaster fire, you can also hear approaching and departing ships off in the distance, and the telltale sound of an engine boost or FTL jump. Radio communications can be heard whenever you’re near a space station, with occasionally funny loudspeaker announcements also made inside the stations. As mentioned before, performing an FTL jump includes some slightly eerie ambiance. There is a soundtrack, but it generally stays in the background, and outright stops during some of the game’s cooler moments, like stopping in space to take in the sights like a neutron star. Comparisons will no doubt be made between Elite Dangerous and No Man’s Sky. But the two games are a galaxy apart in terms of game goals. No Man’s Sky aimed to be a survival sandbox where the focus was on exploring in a generally laid-back way, with simple physics and flight mechanics. Elite Dangerous is also a survival sandbox, but its focus on exploration is purposely complicated with more realistic mechanics and flight models. When you explore in Elite Dangerous, you need to ensure you have all the supplies you’ll need before venturing out into the vasty nothingness of the final frontier. 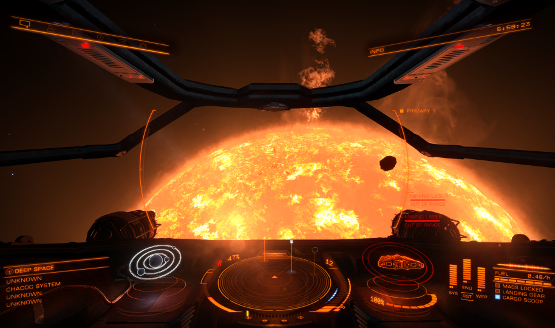 Elite Dangerous is a massive, living game with plenty to see and do. Like a lot of sandbox, open-world games, you get out what you put in to the game. The various systems at play, including flight mechanics, are just complicated enough to be believable, while not hindering gameplay. It also helps that the game looks gorgeous, and runs solidly. While the online-required aspect may become an issue if the servers shut down years from now, in the meantime, Elite Dangerous could very well be a game that you play all through the summer, and then some. It’s a game that all sci-fi fans must play. 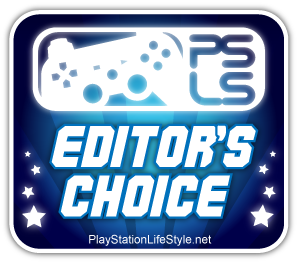 Review code for Elite Dangerous provided by publisher. Reviewed on PS4 Pro. For more information on scoring, please read our Review Policy here.